SKU: NK1114. 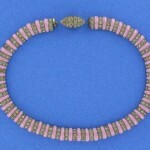 Category: Designers T - Z, Necklaces. 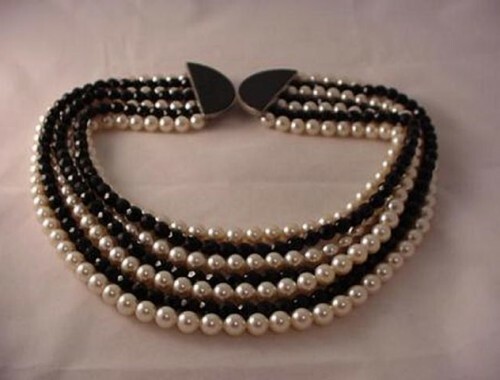 strands of heavy glass pearls alternate with faceted French jet strands. 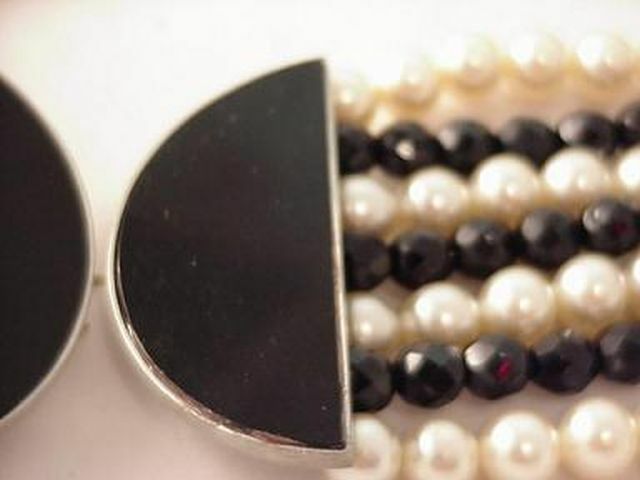 The clasp is two silver tone half circles with either black glass or onyx in them. 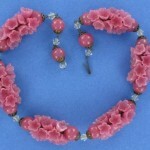 Necklace has a very substantial weight and the quality is superior. 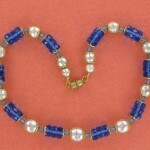 Both halves of the clasp are engraved “Tess Designs”. 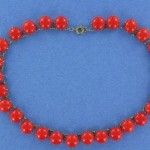 From what I know Tess Designs created jewelry for some Broadway shows. It’s elegant and stunning at the same time! Measures 19″ (the shortest strand) long and about 2 3/8″ wide when laid flat. 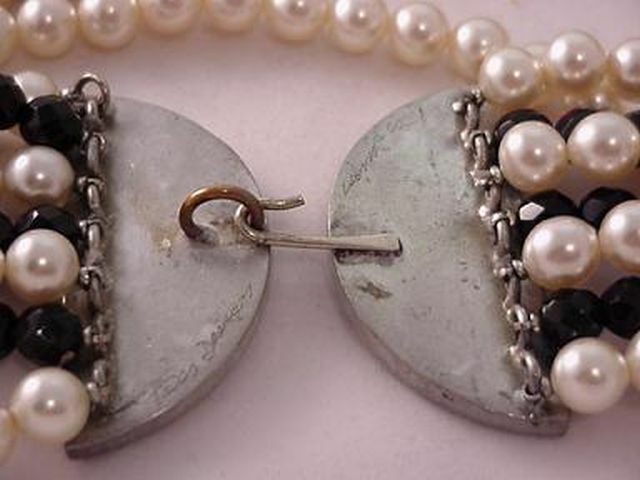 Clasp is 2 1/8″ in diameter. Excellent condition.